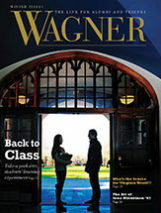 Ten years ago this fall, the College adopted a bold new curriculum: The Wagner Plan for the Practical Liberal Arts. The Wagner Plan centers around “learning communities” that integrate practical experience with academics. 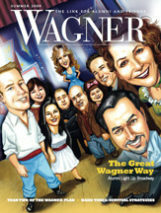 What does the Plan mean for today's Wagner? What's it really like to be a student at Wagner today? In this first installment of a four-part, four-year series, Wagner Magazine will introduce you to a first-year learning community, the beginning stage of the Wagner Plan. Story by Laura Barlament. Photographs by John Emerson. On Friday afternoon, August 24, 14 brand-new Wagner students make their way to Main Hall room 11 for the first meeting of their reflective tutorial. It's the first day of orientation for the fall semester of 2007, and understanding what exactly a “reflective tutorial” is supposed to be is only one item on a long list of new things to figure out. Their day began with moving into their dorm rooms. They've been buried in information on everything from residence-hall rules to dining plans to Internet connections. They've said good-bye to their families. Whether they came from Tottenville, Staten Island, or Torrance, California, they have one thing in common: They're overwhelmed. One by one, the students enter the room and take a seat at the tables, arranged in rows, facing the front. No one talks. No one switches on the lights. They wait in the dark to meet their first college professor. It's the beginning of a journey into college life. 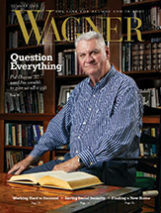 A professor of religion at Wagner College since 1971, Walter Kaelber (pictured above) is clearly in command when he enters a classroom. “You are probably tired, so I want to make this easy,” he says as soon as he walks through the door in his trademark cowboy boots. First, he tells them to move the tables into a U-shaped arrangement. “So you can look at each other,” he says. All first-year learning communities include a reflective tutorial and two courses from different disciplines, related to each other by a common theme. In this case, the theme is “Perception, Illusion, and the Social Construction of the Self,” and the classes are Religion 105: Religions of the East, taught by Kaelber, and Sociology 203: Principles of Social Psychology, taught by Laura Martocci, a sociology faculty member and assistant dean of experiential learning. Kaelber's group will join the 14 students in Martocci's reflective tutorial to compose Learning Community 5. Kaelber reviews the basic outline of the learning community, but then goes back to the personal. “Here's what I know from reading your files. Don't worry, there's no damaging information about what you do late at night. I know your names, your birthdays …” He shuffles through his papers, then blurts out, “Where's Kyle?” A guy with a striking mane of curly sandy-colored hair raises his hand hesitantly. “You, Kyle, have the same birthday as my wife,” Kaelber says. Starting at the top of the list, Kaelber calls on Nick Boghos. When Kaelber hears that he's from Boston, he asks, “Red Sox fan?” “More of a Patriots fan,” Boghos replies. Kaelber confirms that Boghos is on the wrestling team. “I'll keep my distance,” says Kaelber. When he was in college at Bucknell, Kaelber explains, his roommate was a wrestler. “During wrestling season, he would go on a diet that made him mean!” He lowers his eyebrows and shakes his head at the thought. Four days later, at the first meeting of Kaelber's Religions of the East, the ice has clearly been broken among the 28 students. Everyone is chatting, about everything from textbooks to lip balm. For Kaelber, one of the primary functions of a learning community is that it gives students a place to bond. “That may be the single most important thing it does. They may be complaining, but they're complaining together. At least they're bonding. They have a common enemy,” he says with a laugh. The LC also creates a built-in academic support group in an environment of raised expectations. The students study together, check their understanding of assignments with each other, and keep each other on track in general. Having set up these ground rules, Kaelber plunges into a freewheeling lecture on the origins of Hinduism. All the while, he relates the events, which took place thousands of years ago on the other side of the globe, to the students' lives today. Breaking down boundaries — between the past and present, peoples and places, religion and sociology — is the other main point of learning communities, says Kaelber. From the students' perspective, the lesson of “interdisciplinary” may not come across as such. But one thing they do know: This stuff that Kaelber is teaching them is strange and fascinating. It's September 19, and Martocci is reviewing the concept of the “self” in social psychology — one of those ideas that most people take for granted. Martocci makes the students engage with the material through writing and discussion. In the first meeting of Laura Martocci's social psychology course, the students had to write their own definition of “the self,” their own identity, and their own obituary. Beginning a new topic, she asks them to write their own definition of “family.” For a few minutes, quiet reigns in the room, and then they share their ideas. The students' idea of family centers around a caring community of people. Martocci then reads the Federal government's definition of family: “Two or more persons, including a householder, who are related by birth, marriage, or adoption, and who live together as one household.” In other words, she says, this public definition of “family” is more about economics than ties of affection. This sparks a firestorm of discussion — What is “family”? And do our ideals match the realities of our lives? Every reflective tutorial requires students to spend 30 hours in learning opportunities outside of the classroom — i.e., “experiential learning.” In Martocci's RFT, students are going to local nursing homes, in teams of two, to talk with senior citizens about their life stories and memories. The students' goal is to create a biography of their interview subject, and in the process gain new insights into concepts they're learning in social psychology — self, family, gender, race, and so on. For Heather Philben and Alexandra Mallilo, this assignment is a joy. They are working on the story of Sally Romagnano, an 82-year-old grandmother and great-grandmother, originally from Brooklyn. The chemistry between Mallilo and Romagnano is obvious on a visit one day late in the semester. Mallilo, as aspiring education major from Long Island, is returning a photo album she had borrowed from Romagnano. Sitting together on the bed, they flip through its pages. Mallilo knows a story behind almost every photo; she knows Romagnano's family members, friends, and pets. Despite the students' worries, the presentations do not disappoint the large crowd of visitors who gather in Spiro Hall on a Saturday afternoon in December. The seniors and their families listen appreciatively to the students' rich and detailed portraits of the seniors' lives. For the students, this project did more than improve their skills in researching, writing, and presenting information — it gave them an expanded view of where learning and wisdom can be found. 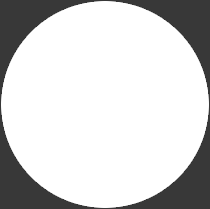 Meanwhile, Kaelber's reflective tutorial has taken a more inward, spiritual focus. Deepening their knowledge and appreciation of Eastern religions, the students have toured several New York museums' collections of Asian art. In class, they've probed deeply into literature and films that reflect on the mystical themes of Eastern religions within a Western context, especially via the works of turn-of-the-century German author Hermann Hesse, three of whose novels they've read this semester. By the time of their final discussion on Hesse, the students still find the works baffling. But, as Kaelber notes after reviewing their quizzes, they have read the assigned book, Journey to the East, with care. Kaelber leads the class not with answers, but with questions. Drawing on what students have understood, he sparks discussions that lead to a greater level of understanding. Working with others on figuring out what's real and what's fake — that may be the best description of what Wagner is trying to give students through the Wagner Plan: a collaborative experience of questioning, of thinking critically, of testing ideas. In the process, students learn, above all, to trust their own ideas and to express their new-found voices.